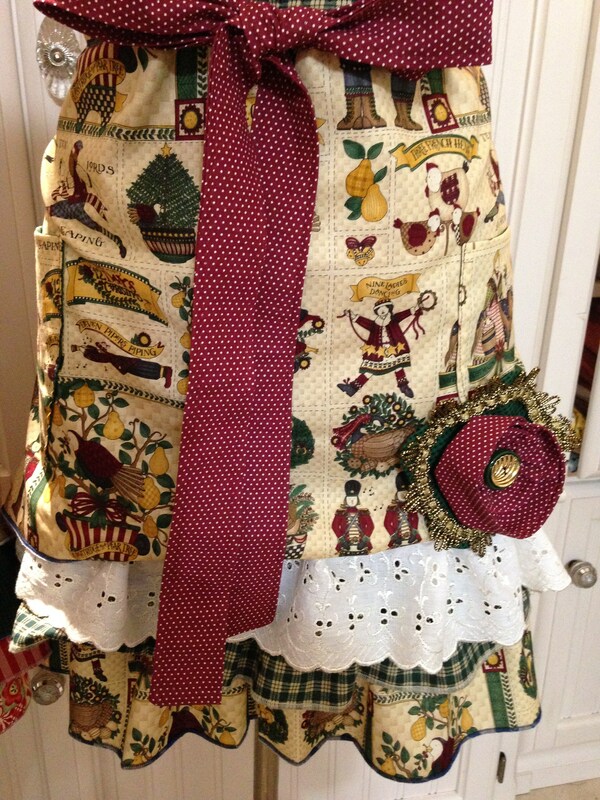 This ruffled apron was crafted using a beautiful Christmas print in country colors featuring a green and burgundy gingham check ruffles as well as a vintage ecru eyelet lace ruffle. 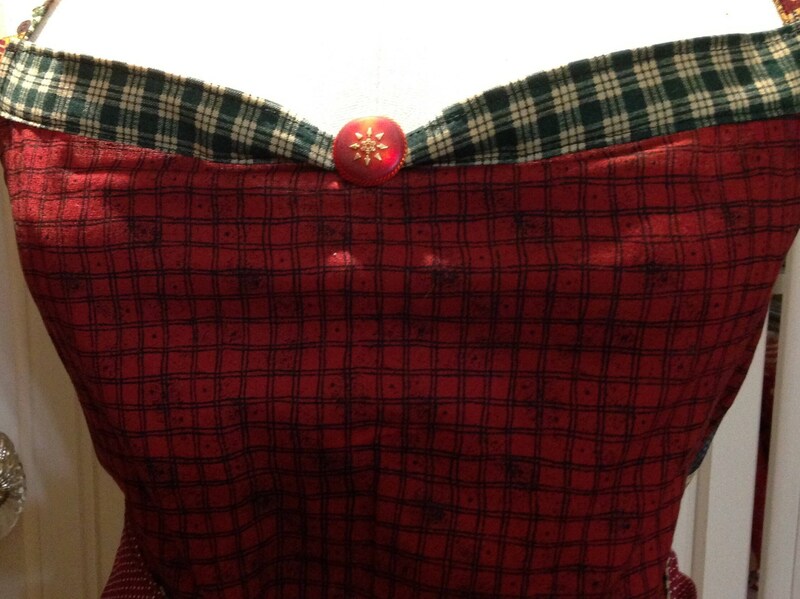 The waist ties are extra long so you can tie them in back, on the side, or in front as pictured. 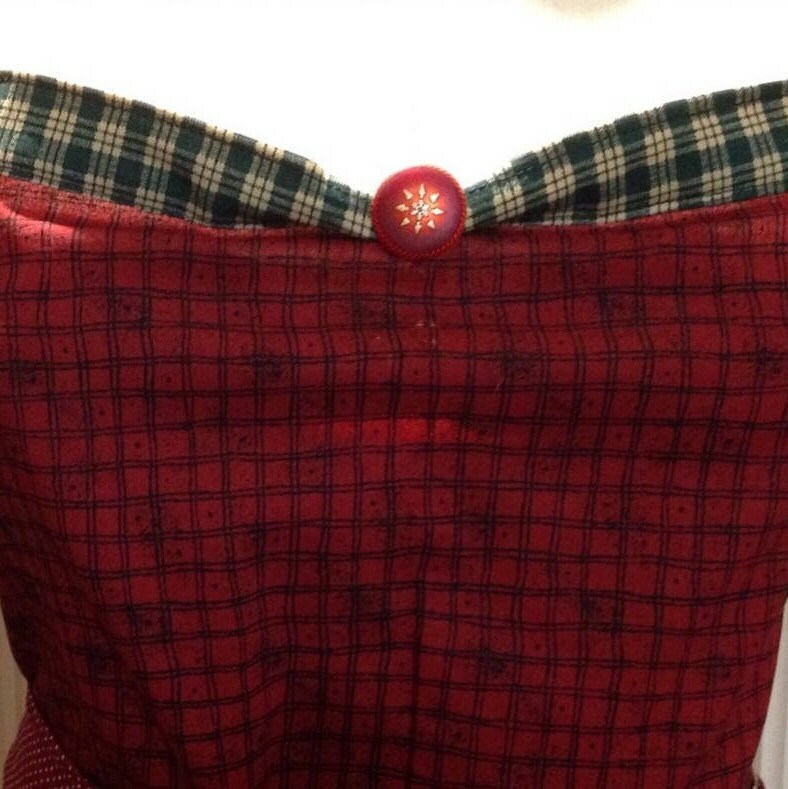 The ruched bodice is beautiful on any figure type and is trimmed with the red and gold vintage button. 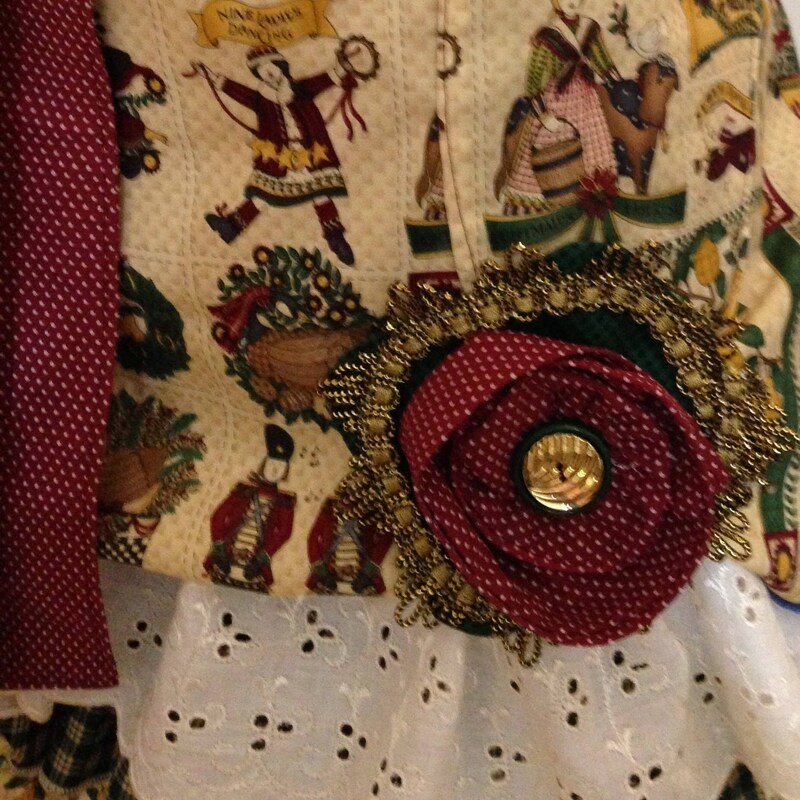 The fabrics used are all quilt quality cotton and seams are serged for longevity. 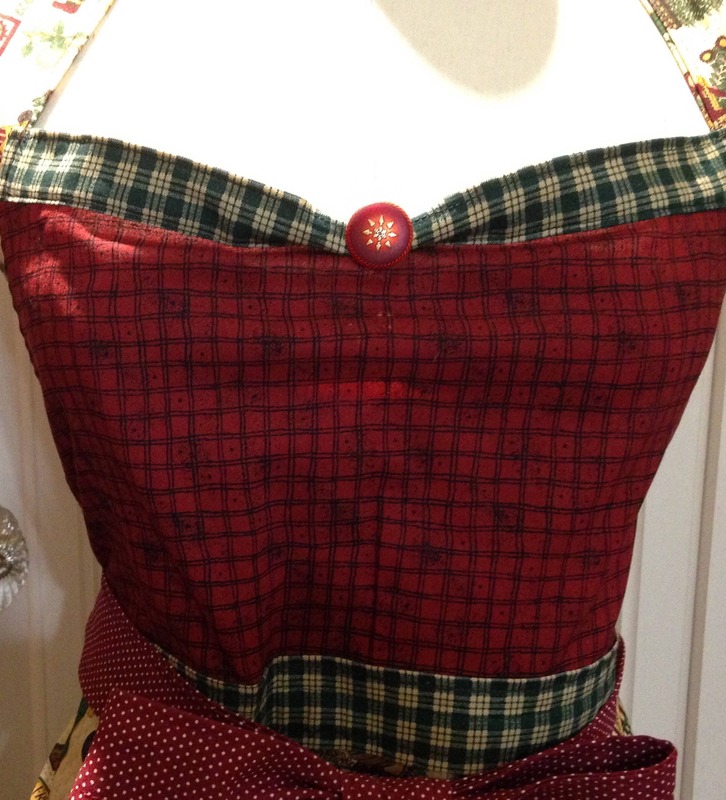 The two pockets are fussy cut to blend in with the apron skirt. 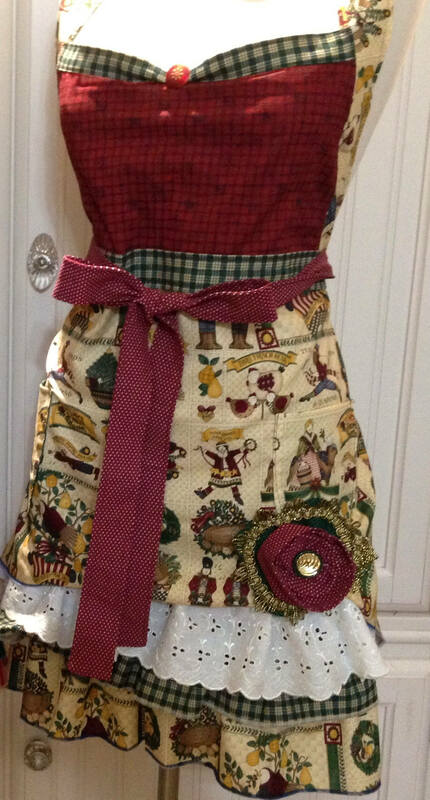 The apron comes with a specially made scrap fabric flower clipped on the apron hem for easy removal during laundering. Look closely and you will see a vintage button as well as gold trim in the center of the flower pin. 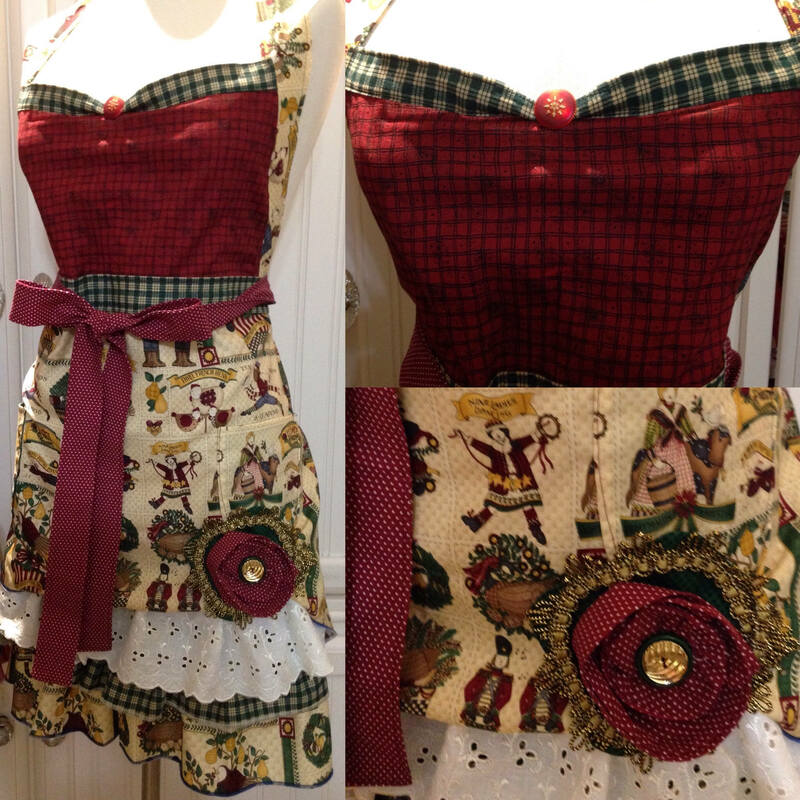 It is these special vintage touches that make this apron so uniquely beautiful and one of a kind.